New Zealand’s very own emo-punk band Carb on Carb has an exciting few months ahead! Although the band are no strangers to touring, they are heading out on their first trip to Japan this May. Where they are set to play a nine-date headline tour! 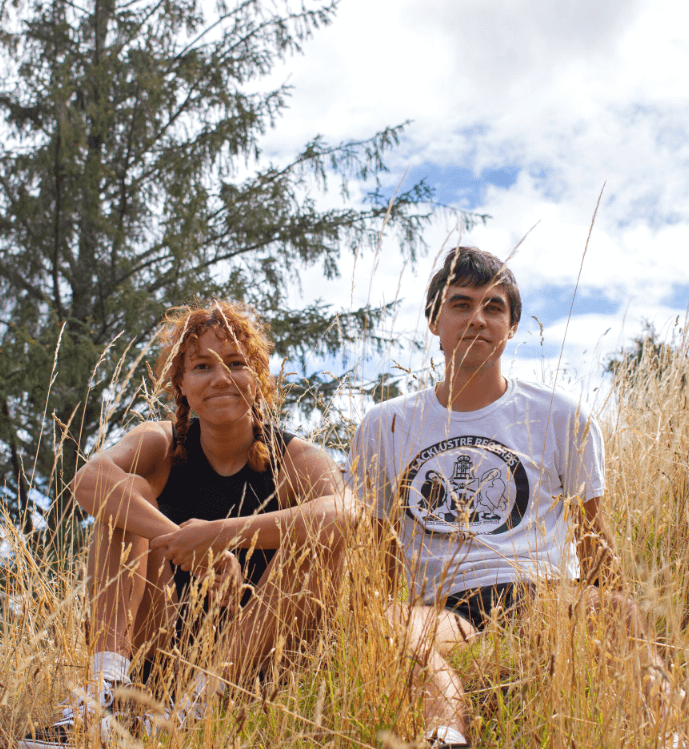 Before they jet-off they are playing a show at Aucklands’ Whammy Bar on May 3rd in celebration of their music video of ‘Annual Leave’ which is due for release the day before. Don’t miss out on seeing the talented Carb on Carb, with support from Ana Te Kōtiro and Blush Juliet. Emo-punk duo Carb on Carb released their sophomore album for ages last May to great international review. The album continues to give – last month they shared 90s teen rom-com inspired video for stand out track, ‘Man Says’ (watch here). Today, Carb on Carb share news of an incoming video for ‘Annual Leave’ due May 2nd followed by a release show at Whammy Bar, Auckland on May 3rd. There will be support from Auckland’s indie-rock gem Being., looping genius, Ana Te Kōtiro and shoegaze band Blush Juliet performing their debut show. Notable tour fiends, Carb on Carb also announce special news of a forthcoming overseas trip to Japan for a 9-date tour! This won’t be their first international experience having already toured China, South East Asia, the US and multiple visits to Australia! You can also catch them at Wellington’s all-ages arts festival, Slow Note, on April 27th. Tickets here.